The Raggeds wilderness preserves two mountain ranges in the Elk Mountains of Colorado: the Raggeds, which jut skyward to serrated ridge tops and the Ruby Range with slopes of gray, purple, and red colored rock. On the eastern edge, the wilderness boundary juts out suddenly to protect the glacially carved Oh-Be-Joyful valley. To the west, Anthracite Creek cuts a path around the marble white flanks of Marcellina Mountain and drops into Dark Canyon while acres of thick aspen groves blank the slopes of the Raggeds nearby. The Raggeds Wilderness is located between the towns of Crested Butte to the east and Paonia to the west. 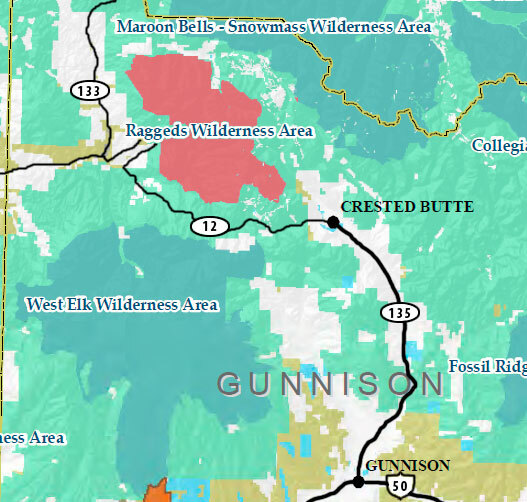 From the south, access the area via US-50 from Gunnison and north on Hwy 135 to Crested Butte. When coming from interstate 70, head south on Hwy 82 to Carbondale, then south on Hwy 133 to the town of Marble. The lack of fourteeners, and large alpine lakes keeps the number of visitors lower than elsewhere. 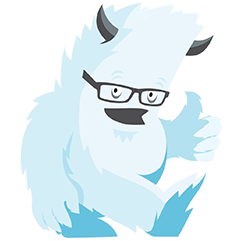 However, expect weekend hikes in popular areas to get crowded. Much of the Raggeds wilderness is subalpine forest, but scenery of snow capped jagged peaks and lush alpine meadows abound. The Oh-Be-Joyful Pass trail ascends up a picturesque glacial valley on the east side of the Ruby Range. The upper portion of the valley is well watered with lush greenery and an excellent wildflower display. With the Ruby Range as a backdrop, this hike is a must. 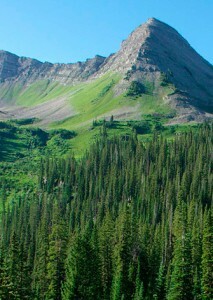 Directions: Begin at the Oh-be-Joyful trailhead a few miles north of Crested Butte. To get there from the town of Crested Butte, drive north on CO-135. Just north of town, take a left at FR-734 (Slate River Rd). Forest road 734 follows the Slate River valley. Continue until FR-754 and the Oh-Be-Joyful campground and trailhead appears in the valley below on the left. The hike begins immediately outside of the parking area and you must cross Slate Creek on foot. It can be more than knee deep at times. The Oh-Be-Joyful Trail is steep in many areas and the approach to the pass is several miles in length. The hike to the pass and back will take most of a day. 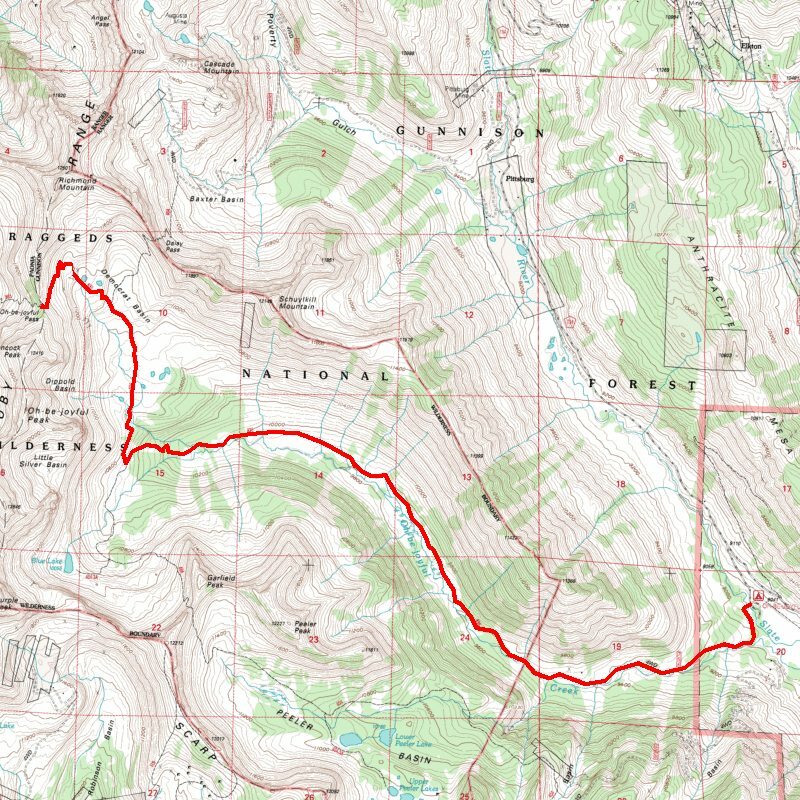 Click for a map of Oh-Be-Joyful Pass trail. The Dark Canyon trail drops into the heart of the Ragged wilderness. The red and purple hued peaks of the Ruby range rise to the east. If you hike far enough the trail drops into Dark Canyon where Anthracite Creek has cut steep canyon walls. Directions: To reach the trailhead, begin in Crested Butte on CO-135. A left on Whiterock Ave leads to CO-12. Signs marked “Kebler Pass” will guide you. Follow CO-12 over Kebler Pass to Horse Ranch Park, FR-707. The Dark Canyon Trail begins here, Trail number TR-830. 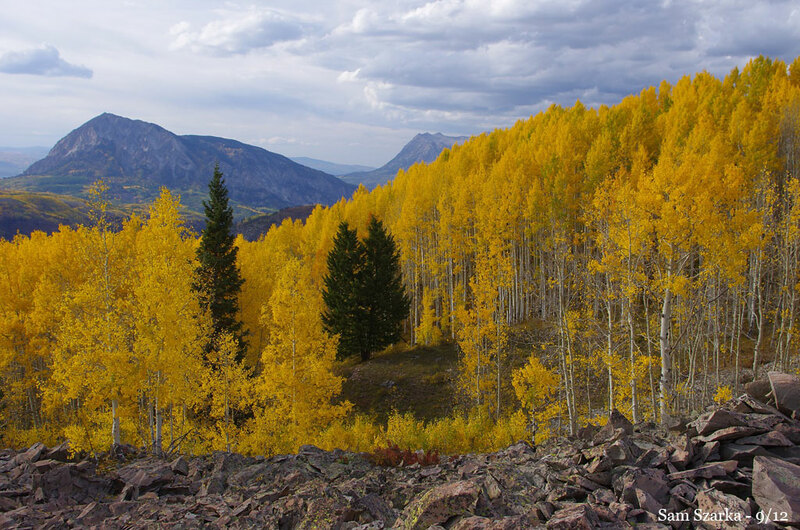 The trail ascends through forests of aspen, but quickly levels out on a plateau with spectacular views to the west. After approx 1.8 mi. the hiker reaches a junction with Oh-Be-Joyful Pass trail. Head left to continue on the Dark Canyon Trail, or head right to climb to the pass. If you are planning a trip, I highly recommend this tear-resistant, waterproof trail map made by National Geographic. Trail Illustrated maps are topographic maps that show all the local trails as well as the details of the wilderness terrain. 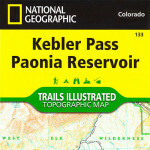 The Kebler Pass / Paonia map is a National Geographic topographic map that covers the Raggeds and West Elk wilderness areas. The map clearly marks trails, shows important landmarks, is printed on tear-resistant plastic and is the choice of hikers for navigating the backcountry.